Create an edited collection of your artwork to showcase your style to potential buyers and galleries. Why create a Portfolio Page? Artists, present your professional Portfolio Page to potential buyers and galleries. Click on Pieces in the left-side menu. 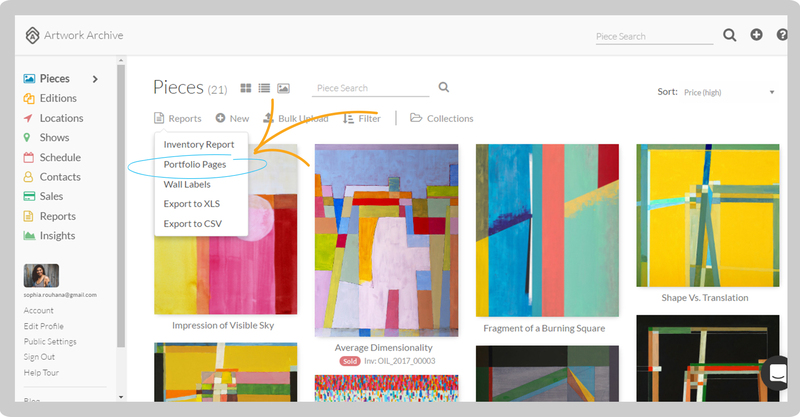 Click on the gray Reports button under the title and select Portfolio Pages. Select the information you would like to include in your Report, including Sort Options, Multiple Images, Font Options, Contact Info, and Data Options. Then, select which Pieces you would like to include. You can click Add all # pieces to include your entire Inventory, or select which Pieces you would like to include and click Move. 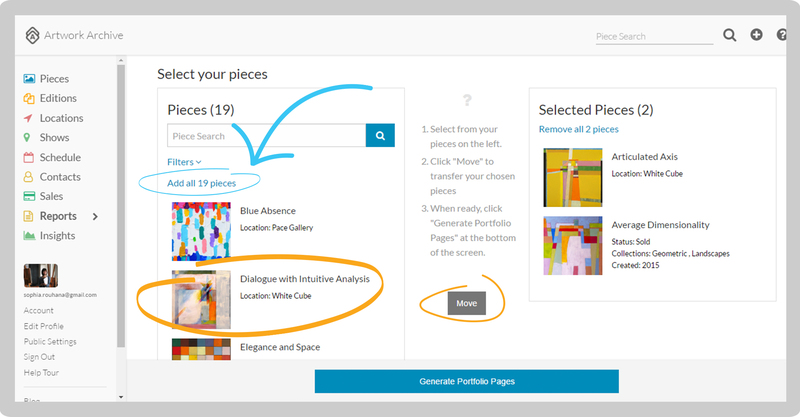 You may also click on any Selected Pieces and click Move to remove them from the Portfolio Pages. 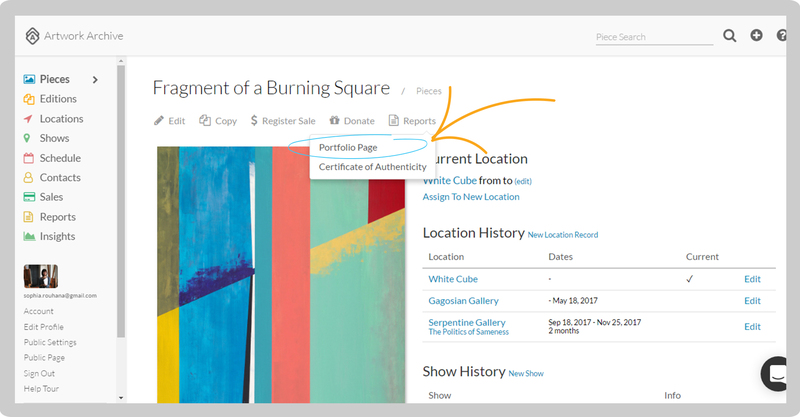 To create a single Portfolio Page, click on Pieces in the left-side menu and select the Piece for which you want to create a Portfolio Page. Then select the Piece information you would like to include. Click Generate Portfolio Pages. You will be redirected to Reports. Once your Report has finished uploading, click on it in the Report column and choose from the drop-down menu to either View, Download, Copy URL, or Share. Or, click the Pencil icon on the right to edit your Report.